Some videos are really good that you may watch on repeat while some other are just one-time to watch only. You might want to convert a video file to mp3 sometimes. For example, if you have downloaded a new video song and you just want to listen to the audio part only. It can also be useful to save little space in your phone storage as mp3 files are comparatively small in size. 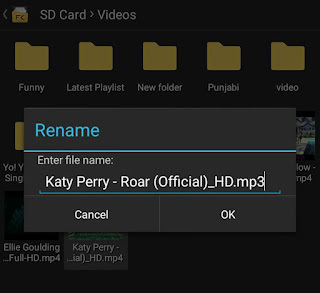 Today we will discuss on how to convert any format video file to mp3 in your Android phone. Let's dive into the topic. First launch the file manager app and navigate to the path where the video is saved. Next, select the file and click "Rename" option. Now change the format to mp3. For example, if your video is in ".mp4" format, then change it to ".mp3". Make sure to add dot symbol between file name and format. In some file managers, you may need to enable the "Show file extension" option in app's settings. 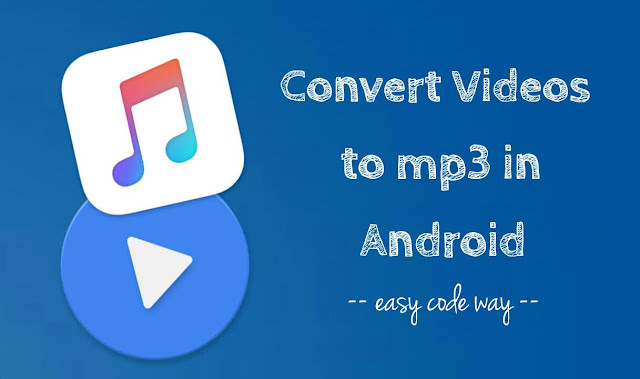 Once the format is changed, your video will be converted to mp3 automatically and it will be added in all music library i.e., you can play it from any music player app. If you would like to watch the video, you can change back the file format to its original. Although this method is very simple and quick but there is one major drawback. As you'll convert the video to mp3, its file size will remain same because we are changing the format only. There is no conversion in actual. First launch the MediaConverter app. Now browse to the folder where video is saved and open it. Next, tap the "Convert to MP3" button. There are few other options available in expert mode. For example, you can customize the audio quality (bitrate), video resolution and storage path. You can also trim or cut some part of an audio to make a phone ringtone. After this, tap the "Convert" button and that's it. Now the process will begin. Conversion will take some time depending on the file size. Unlike in first method, here the converted mp3 file is very small in size. 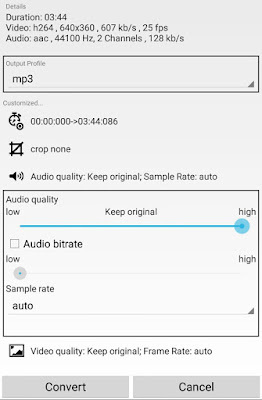 So this is how you can convert any format video to mp3 in your Android phone. If you would like to add something, please do share it in the below comment box.